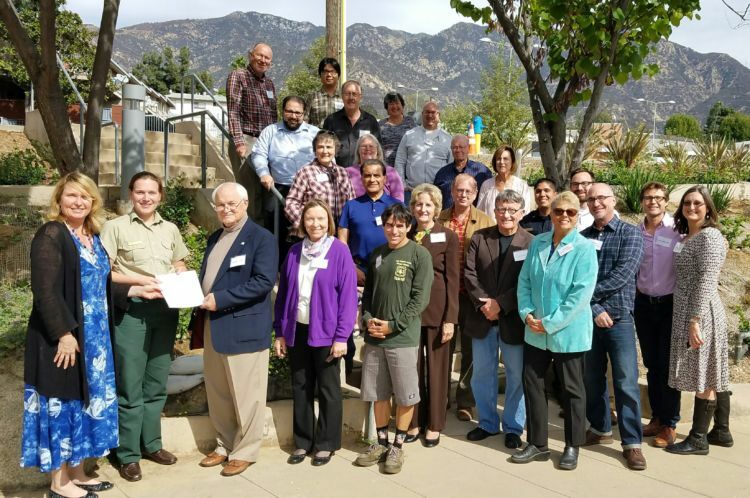 Last Thursday, October 27, 2016, the San Gabriel Mountains National Monument Community Collaborative group (Collaborative) finalized their consensus comments on the SGMNM Management Plan. The process was helped immensely by the extension of the public comment period through to today, November 1st. The Collaborative took a long, hard look at the draft Management Plan, and felt that it fell short of accomplishing everything desired by the community, and mandated by the Presidential Proclamation. I served on the Monument and Transportation Plan Coordinating Committee, tasked with developing comments for the entire Collaborative to review and approve. We broke down the management plan, and assigned sections to those with expertise and interest in the section topics. I helped write the Sustainable Recreation section with the Sierra Club representative, while the Heritage Resources section was initially drafted by an archaeologist. Over the course of two months, numerous conference calls, and four Collaborative meetings, the comments were developed and modified into a document that all members could support. The Collaborative’s strength comes from the diversity of its membership. When the Collaborative was convened, effort was made to bring in diverse and sometimes opposing viewpoints, including some who did not initially support the Monument. Over the course of nearly two years, Collaborative members have become much more aware of and sensitive to the issues and viewpoints of other members. It’s been a slow process of building trust, and coming up with compromises that support the greater vision for the Monument. The member list is available on the National Forest Foundation’s SGM Community Collaborative page, along with all our meeting records and documents. The Collaborative code of conduct prohibits any Collaborative member from submitting individual or organization comments that are contradictory to those of the Collaborative. CORBA’s comments supplement the Collaborative comments, addressing a few issues not addressed by the Collaborative. Both are posted here for review. Nothing in the Management plan directly affects mountain bike access to existing trails. Much of the draft plan and the Collaborative comments concern social and environmental justice, transportation, and heavily impacted areas of the Monument. The Forest Service expects to release a Final Management Plan next spring, as they read through and respond to all the public comments received. That will be followed by an objection period, then a final Record of Decision. The Presidential Proclamation mandates the completion of the plan by October 10, 2017, the third anniversary of the establishment of the Monument. This entry was posted on Tuesday, November 1st, 2016 at 3:24 pm and is filed under Advocacy, Angeles National Forest, Environment, Los Angeles, San Gabriel Mountains, San Gabriels National Monument, Trail Access. You can follow any responses to this entry through the RSS 2.0 feed. You can leave a response, or trackback from your own site.